Tuesday night saw us travel to Clapham Junction to take on Battersea in a tricky Division 6 fixture. Following a bit of inevitable ribbing on Twitter (@hammer_chess), I’m afraid it was us left to lick our wounds following a disappointing 1.5-2.5 defeat. Rich was unavailable to captain this time around so Dave stepped in to do the honours. He picks up the commentary from here. Ben was first to finish on board 4. Facing an empty chair for the best part of 30 minutes is never the best introduction (Battersea’s player arriving fashionably late), particularly when you’re making your debut in London League. The mind games obviously worked, spellbinding Ben into an early touch-move mistake. It resulted in giving up a Knight for a pawn, which despite an all-out attack that followed, ultimately proved decisive. 0-1 down. Wyatt on board 2 was next to fall, succumbing to a reversal in the Queen’s Gambit Declined line. In truth, Black’s queenside pawn storm proved decisive, handing Battersea’s captain the initiative with the dual advantage of increased space and promotion threats. Full game is included below. 0-2 down, and looking like a real battle to take anything from the match. The result was ultimately confirmed with the conclusion of Charlie’s match on board 3, a respectable draw against veteran Tim Allen. That took the score to 0.5-2.5 with the result no longer in doubt. The final match to finish was my own on board 1. I’ve recently studied the Smith-Morra Gambit and strolled to the venue convinced I’d get a chance to try it F2F for the first time. I had to smile when I was allocated black but nevertheless faced the same opening a few moves in. Conscious of the mayhem that can ensue, I declined the gambit with a fairly passive 3…d3. Not the most exciting move but it appeared to unsettle my opponent; I got the sense his theory was stronger in the Accepted lines! It was then a battle of pawn storms on either flank, but I always felt I had the initiative. Happy to get the win! Full game below. 1.5-2.5 defeat all told. That’s it now until Christmas – thanks to everyone for turning out! 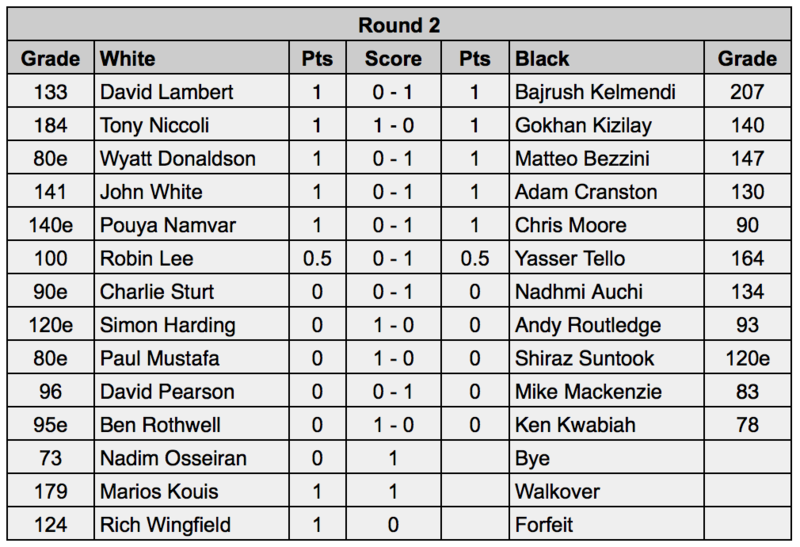 On Thursday night Hammer’s Middlesex 1 team took on Hendon 4. On paper a highly probable win was on the cards for Hammer, as not only did we out grade them, but we had swept them aside 8-0 at The Anvil earlier in the month. If you were a betting man… you would put your money on the nose for the Hammer boys to deliver. Let us examine dear reader, this tale of woe. To begin any sporting contest effectively 3-0 down is a huge handicap. This was the size of the task facing the five Hammer players who sat down to face the Hendon 4 team. The night saw the Middlesex 1 debut of Pouya – so in time-honoured tradition his designated nickname is Silk. On Board 5 Tellit played an excellent game displaying excellent endgame technique and utilising the concept of Zugzwang to perfection. 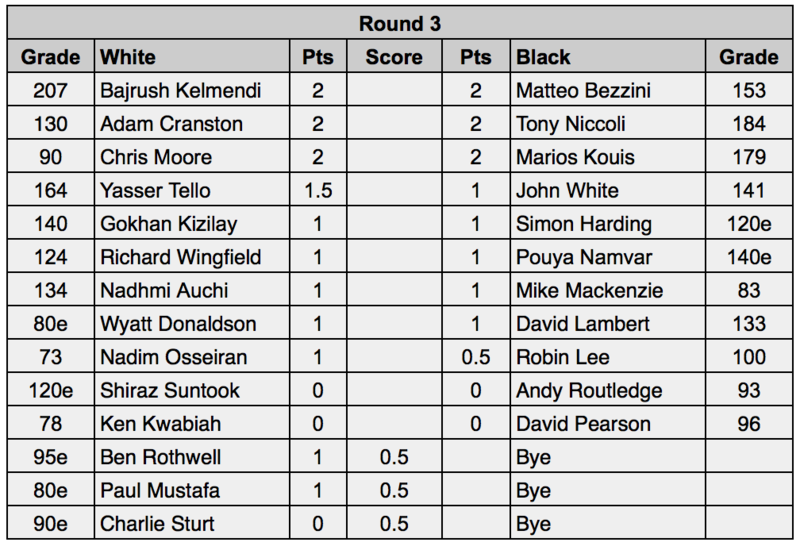 This brought the overall score to 2.5-3.5 in favour of Hendon. Board Eight saw Silk take a well-fought draw against a tricky opponent. Although he held an edge, there were possible threats against his king that would have made matters very murky. He prudently took the draw option, putting Hammer at 3-4 down. Finally, on board Seven Clueless was happy to escape with a draw. Having misplayed the opening, he was under pressure for most of the game and had to indulge in some severe scrambling to achieve counter play. Having done this, he briefly contemplated playing for the win in a two rook versus two rooks endgame. So Hammer Middlesex 1 lose their first game of the season. With the inevitable addition of game penalty points, it was a miserable evening for the team – just rubbish. If we are serious about promotion in any of the leagues we compete in we can have no more defaults for the rest of the season. Promotion is tough enough without shooting ourselves in the foot. Which brings us full circle and back to the title of this piece. Rapidplay – December – Round III ! Pinch, Punch, First of the Month – it can only mean one thing – the latest pairings for our Rapidplay tournament are out! Adam also deserves a mention for overcoming higher-rated opponent John, as does Paul, but it’s Chris Moore who gets the “performance of the round” prize for beating Pouya. Well done Chris!! Other results went largely to form. 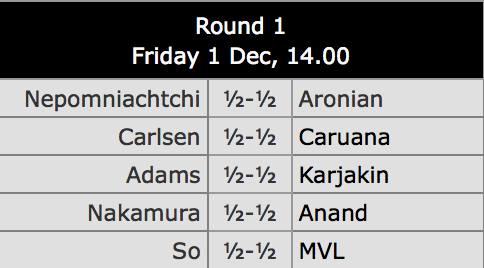 To the Round III pairings then – and there are some properly tasty matchups for December, starting with seven of our strongest players facing off in the top four ties – with star-performer Chris completing the set. Will Chris be able to keep up his remarkable run of form against Marios? Yasser vs John looks like a cracker too. Towards the bottom end we’ve got a series of – on paper – evenly matched games that should prove tight contests. Action all over the place!! As usual, the onus is on individuals to arrange the games with your opponents & get the result to tournament controllers Adam & Dave by the end of the month. 25th December – Club Closed for Christmas Day!! The Classic finishes on Monday 11th December, and to celebrate we are hosting GM Keith Arkell at Lytton Hall for a Simultaneous! 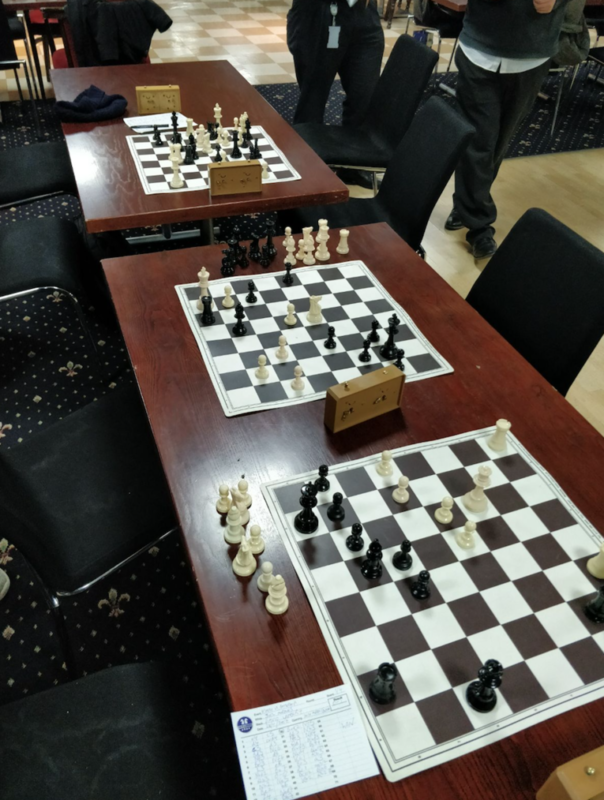 Keith is a top English player, having achieved GM status in 1995, and he’s a particularly strong Rapid player, so a Simul we be a great test of his abilities! There’ll be a small fee of £6, and prizes for the best performances! 11th December – SAVE THE DATE! 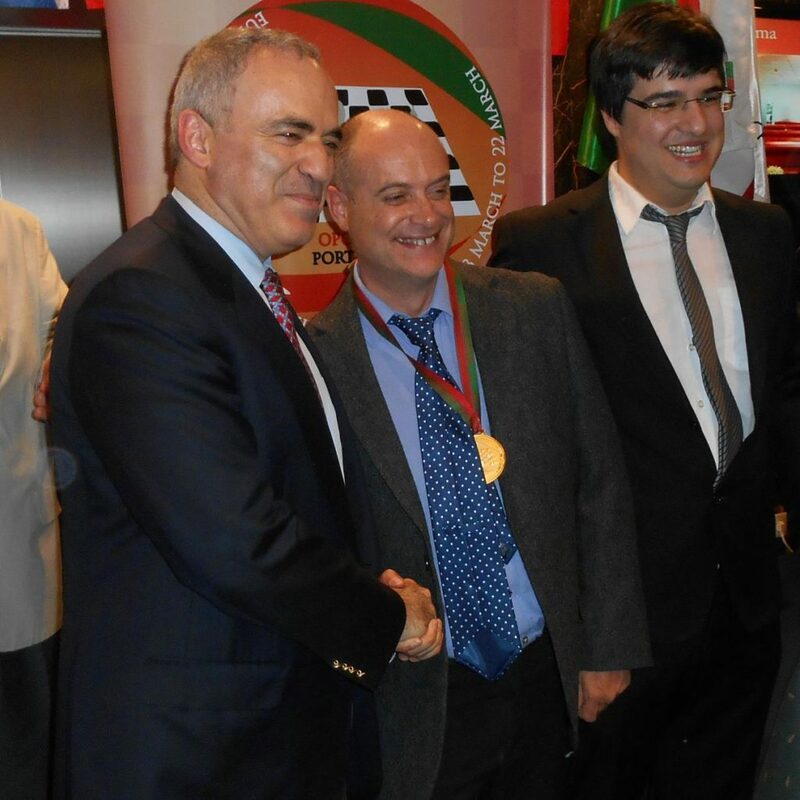 Chess.com – Find a Hammer Player! As the year draws to a close, the Club Chess calendar for December is looking decidedly sparse! 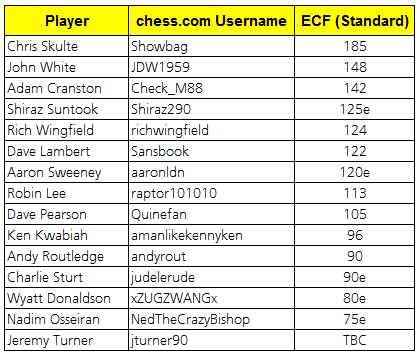 One way to overcome this is with online chess, and we thought it would be a great idea to share chess.com usernames of our Hammer players – strike up an online game with a friendly face from W14! That’s it for now – look out for some Festive roundups for each of our teams coming soon, and enjoy the London Chess Classic! Great article this week. Cheers to everyone who contributed, and to Andy for compiling as ever. Previous Previous post: Ehr for Congress!